If you’d like to sponsor Cesar, please select your sponsorship frequency below. Cesar is a domestically bred Triton Cockatoo. He hatched in March 1999 in Paris France. Cesar is large for a Triton Cockatoo. He weighs over 1,000 grams. 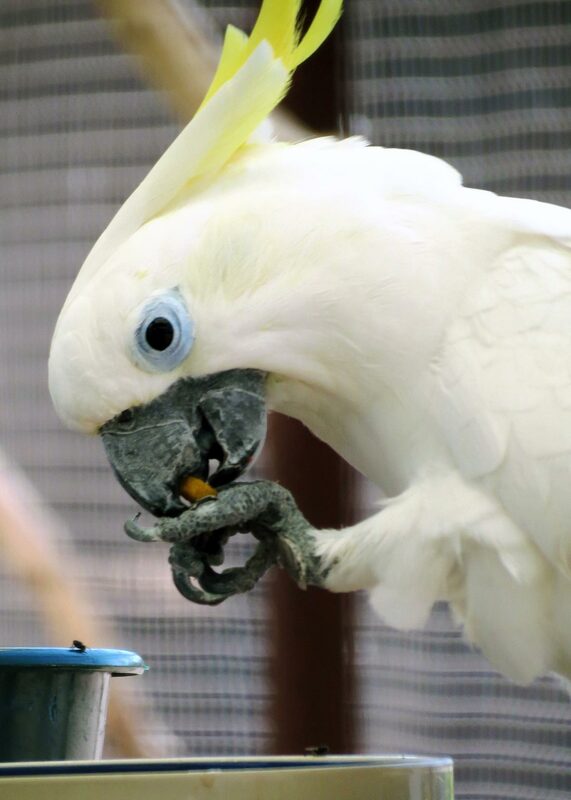 He is adept at flying and resides in the Male Cockatoo Aviary where he was released upon arrival in April 2014. Cesar strives to be the alpha male in the Boy’s aviary so the other boys in the aviary always keep an eye on him for the times he wants a challenging flight around the aviary.